Creating a wonderful display in your summer baskets could not be easier, because this mix of seasonal bedding has been ready-planted into a plastic tray. 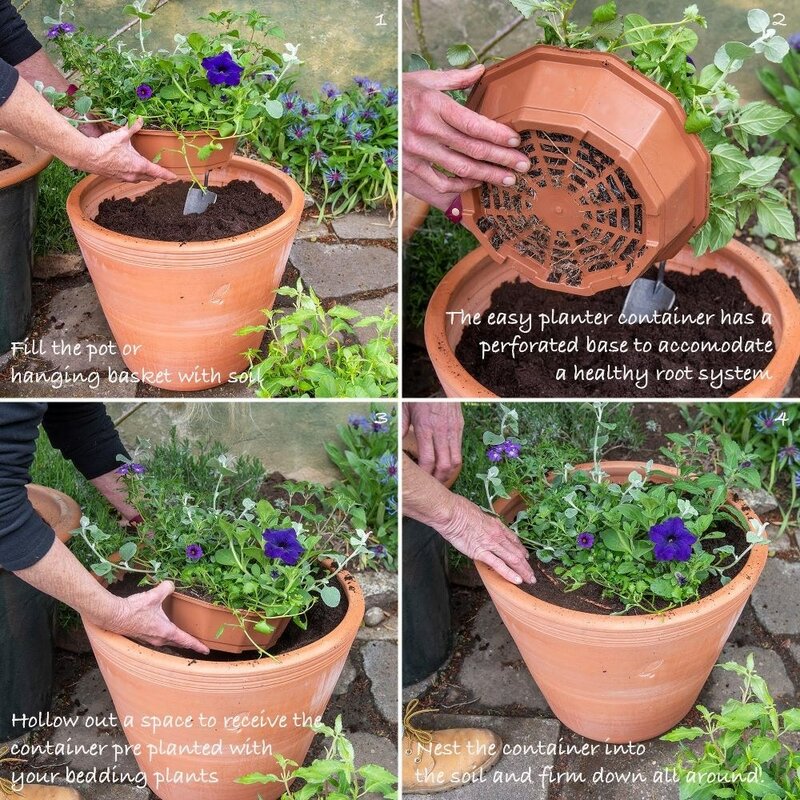 Therefore, when you receive it, all you need to do is half-fill your hanging basket with compost (you will need one with a diameter of at least 30cm), place the tray on top, and fill in any gaps around the edges with a bit more compost before giving it all a good water. The roots of the plants can grow through the base of the plastic tray and into the compost below, so provided it is kept frost free and well watered, the plants will soon start to fill out. Each pre-prepared tray measures 30cm in diameter and 8cm high, and contains 7 specially chosen premium plants. The trays also contain a slow release fertiliser that will get the plants off to a flying start. 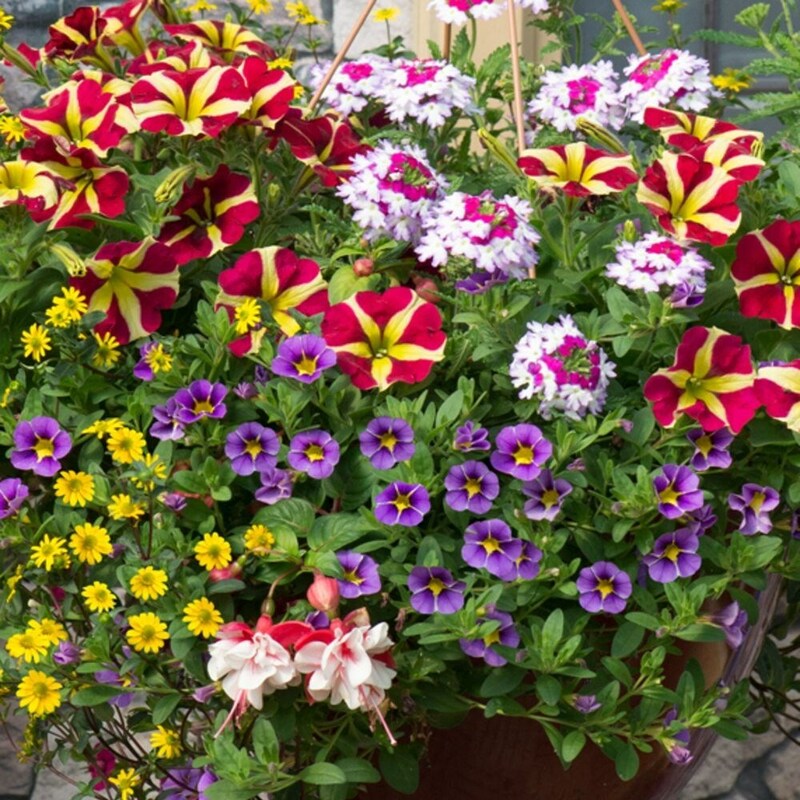 Grow the basket on in a frost free environment and it should be ready to hang 2-3 weeks later (weather permitting).